Imagine what a nicer place the world would be if every war profiteer one day decided to ditch the weapons and embrace the brewery. 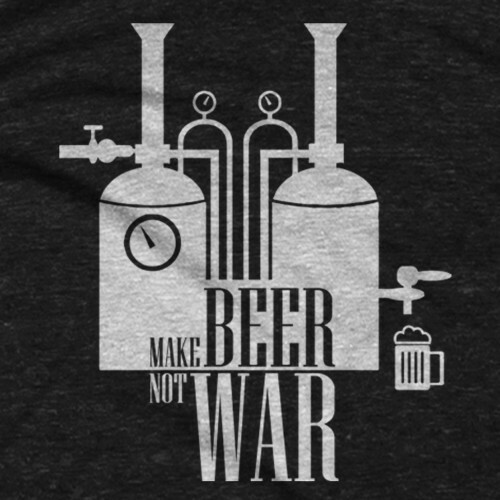 Since that’s not likely to happen anytime soon, we’ll have to make do with the Make Beer Not War t-shirt from Guerrilla Tees. 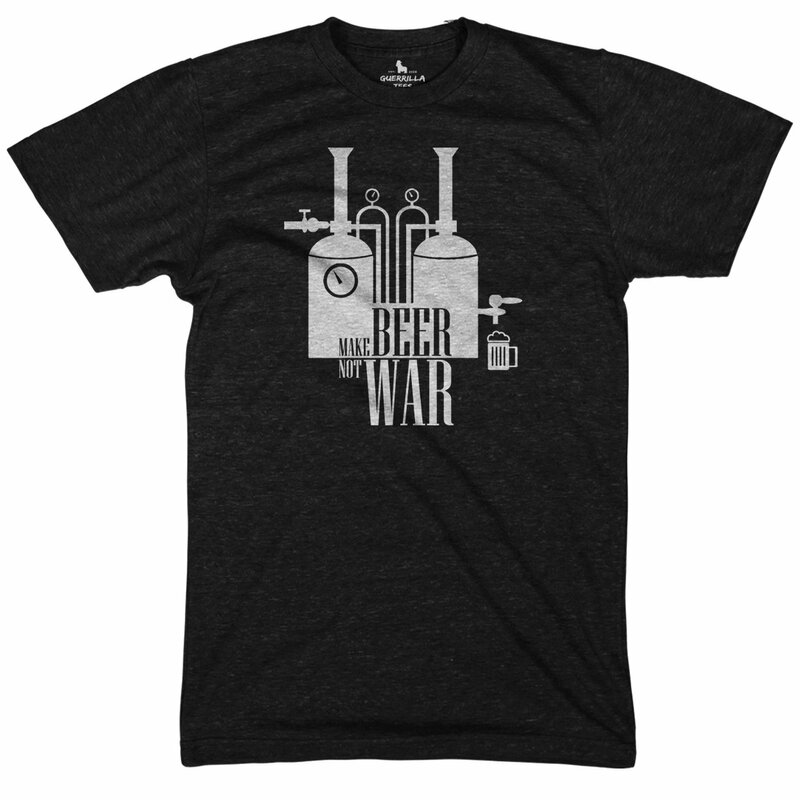 It comes in all black with super cool white graphics and lettering, perfect for home brew masters, bartenders and all those who love an ice cold craft beer. 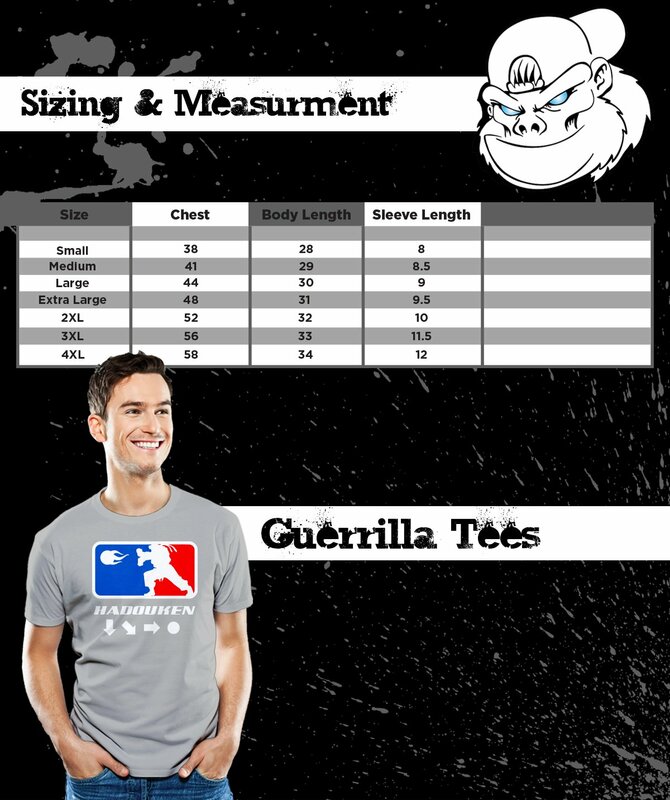 It’s a great addition to any casual wardrobe and a perfect gift idea for beer aficionados.